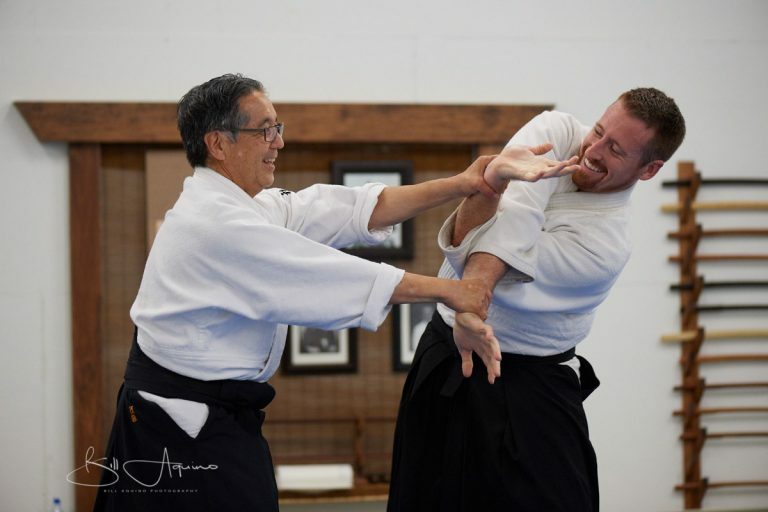 Traditional Aikido of Sarasota is committed to the vision that anyone can train and develop their own self-mastery through Aikido, The Way of Harmony. Aikido trains you to access a calmer, more centered, and responsive version of yourself. The more you practice being that person, the easier it becomes to access skills like assertiveness, compassion, and clear, decisive action in your everyday work and relationships. Aikido invites and instructs each student to approach conflict with a courageous and compassionate spirit that whole-heartedly confronts the challenges and difficulties of life. Traditional Aikido practice extends beyond the borders of the mat to encompass the way we relate to one another and the choices we make on a daily basis. In our dojo, you are more than a student learning self-defense. You are a vital part of a community helping each other to develop, within ourselves, that which is worth defending. As you practice with dedicated training partners who are committed to your progress, you'll get real-time feedback on the most effective ways to use your innate power and strength. You will become attuned to the shifting of weight, breath, tension, and release that happens in yourself and others, so you can consciously respond to a challenge. As a traditional dojo, we are looking for students who will practice earnestly and cultivate a "beginner's mind." Children, adults, and seniors can practice sincerely and grow at their own pace. We will never require a contract or charge extra fees for kyu ranks and advancement. If you wish to learn Aikido, there are only two requirements: that you start, and that you persevere. We invite you to try a class before you join the dojo. In your free trial class, you will meet other students, see Aikido in action, and learn a few basic moves. 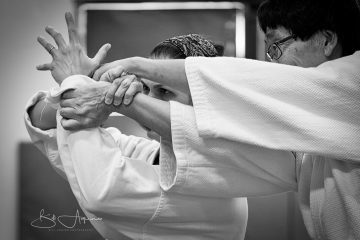 A dojo member will be available to answer your questions and make sure you have the information and experience you need to decide if Aikido training is right for you. If you'd like more information, email us or call (941) 404-5801 .